Too much digital ink has been spilled over the apparent demise of email. “What’s to replace email,” and “why email is dead,” are all well-worn topics musing over a thin premise: social media will replace the well-worn 45-year-old medium. Yes, social media and collaboration platforms are now established, critical work tools. But these tools work alongside email, each channel complementing the other’s strengths. Still, over the past two decades, social networks have guided email’s continued development and vice versa and it will continue to do so for the foreseeable future. User-design, personalized communications and other elements bleed across the social-email divide. These changes can be boiled down to three elements, each improving on email’s multimodal roles in today’s world. Email has always acted as a unifying element in the digital ecosystem. Digital registration, authentication and more almost always use email as the common denominator. Today, email has evolved thanks to the inclusion of more customer-centric data. These data range from social, to mobile, to offline, and more, and can be focused into a targeted medium that is as responsive and real-time as any social network. But data is only half of the equation. 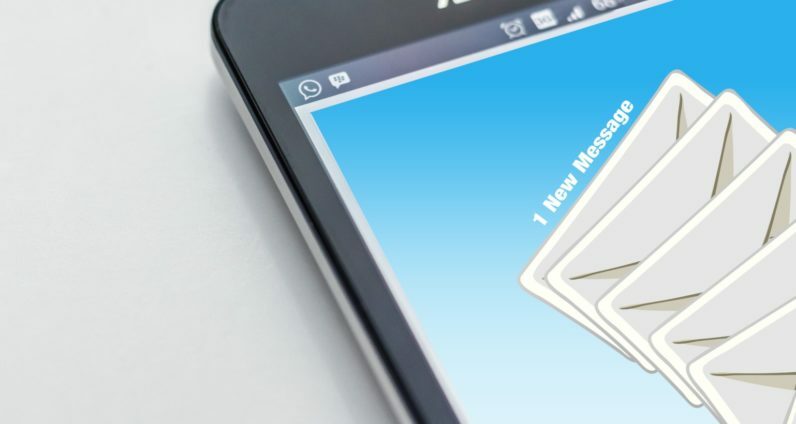 How users interact with email and for what purpose has changed to accommodate both the growth of social and incorporate social’s ability to relay information in a quick manner. Until the advent and mass adoption of smartphones, email and social had a significant disconnect best described as immediacy. Social moved very quickly while conveying only headlines to attract a user’s attention. This headline functioned much in the same way as subject lines in email. Smartphones levelled the playing field by forcing all messaging channels to reorient themselves to a more headline focused display. While social was already there due to character restrictions and just how the medium was conceived, email went through a metamorphosis that brought the friendly from, subject line and pre-header text into central focus. Instead of thinking ‘above the fold’ based on preview panes, people had to start thinking in terms of the inbox’s list-view and how to grab the attention of the recipient as rapidly as possible. The reliable nature of email is one reason why many services employ it as a verification method. It helps prove, at the very least, there is a human at the end of the line, and not a bot. Email addresses are also used to verify and recover accounts and can act as a second form of verification, should a user or service need it. This is a powerful mechanism that most social networks have adopted as they push further into building out transactional and file-sharing services. By taking note of email’s strengths and weaknesses, some social media services are creating new verification methods. Some deploy verifications for password resets, security verifications or receipts through the app and others use SMS messages to directly contact the user. Regardless, they’re building out transactional communications between a buyer and seller, following many of email’s cues. In addition, social media sites are learning how to craft small, but impactful communications between a group of trusted friends while facilitating an activity or action. These communications are not just simple interactions like sharing photos, they’re sharing dynamic maps, locations, coordinating bill payments and more. Like email, social networks are evolving to meet the needs of the user wherever and whenever they’re required. One could argue that Twitter’s move to expand the length of direct messages was in response to the utility that longer form communications like email provide when discussing or documenting complex thoughts that require more than 140 characters. Peer-to-peer transfers, dynamic feedback and itemized receipts have been email’s bread and butter for years, but the time it takes to open these missives have been slashed. It is only going to get faster and more personal as social networks build out and perfect their transactional efforts. Here, both email and social networks can work together to provide a superior customer experience. The question that has to be answered is: which channel is best suited for quick communication vs. archival documentation? And, how quickly will brands and marketers adopt alternative mechanisms for closing the loop on transactions based on customer preferences? Already cash registers accept NFC based payment methods in addition to credit cards and cash. They spit out receipts on paper or through email, or generated by a 3rd party payment system like Square. With the right use of data, personalized marketing campaigns, loyalty programs and group deals can grow in effectiveness across both social and email. For example, maps to destinations can be sent to both an email account and a social networking app. New business-to-consumer communications, like chatbots, will soon play a bigger role in communication as well. They can do so by facilitating a one-on-one conversation between a business and a consumer as a user moves from a messaging application to an email and back — all without losing its place in the conversation and scaling to meet increased messaging volumes. These are great developments that can help simplify and coordinate digital livelihoods. Valuable feedback can be sent from a consumer to a business at the push of a button. Record-keeping, engagement and customer service has become more automated and personal across channels. The two means of communication build on each other and improve their respective mediums to reach the ultimate goal: finding, identifying and sending a clear message that everyone wants and relies on.